In Corrina Corrina, Whoopi Goldberg plays an extra special housekeeper. Manny Singer, a jingle composer, just lost his wife, leaving him with a house and young daughter in need of care. Molly is speechless, literally. Through Corrina's patience and understanding, Molly regains speech. Eventually, romance blossoms between Manny and Corrina, against the wishes of Corrina's sister and Manny 's mother. "A bird and a fish can fall in love, but where would they build the nest? " Trouble brews between the lovers. After one day back at school, Molly wants to stay home. Corrina tells the school that Molly is sick, and she takes Molly to help clean a lady 's house and swim in the pool. 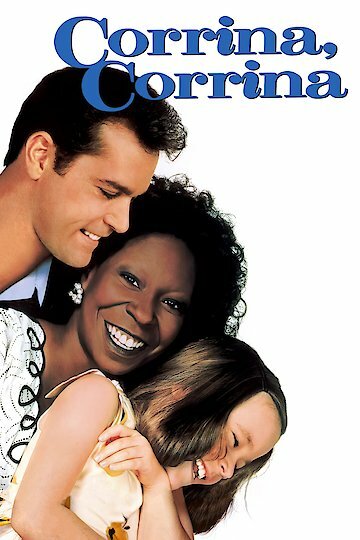 Corrina, Corrina is currently available to watch and stream, buy on demand at Vudu, Google Play, iTunes, YouTube VOD online.